A look at what transpired in Stillwater on Wednesday and what’s ahead for OSU. 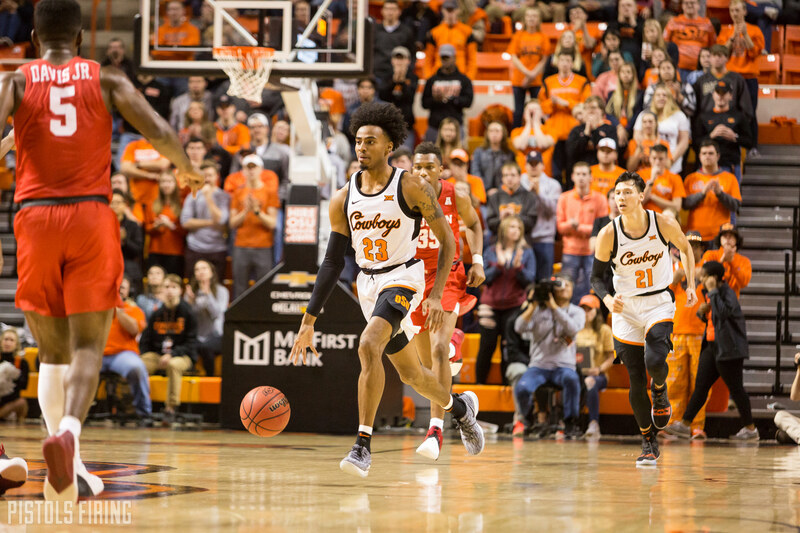 Marshall Scott joined me from GIA to talk about what Mike Boynton’s dismissal of Michael Weathers, Kentrevious Jones and Maurice Calloo means for these Pokes and for the rest of the season (as well as the recruiting trail for 2019 and 2020). OSU now has nine players on the roster (eight of them with scholarships), and what was turning into a semi-promising second half of the year has gone suddenly sideways. We discuss that as well as how Boynton will fill out a lineup for the remaining games.